New Zealand’s Abel Tasman Coast Track is idyllic for those people who enjoy hiking, overnighting in huts, or backpack camping. Located at the top of the South Island, the 60km (37 miles) takes three to five days in one direction. However, thanks to water taxi services operating out of nearby Kaiteriteri, travelers can break it up into day walks. If they prefer, a three-day walk is possible. 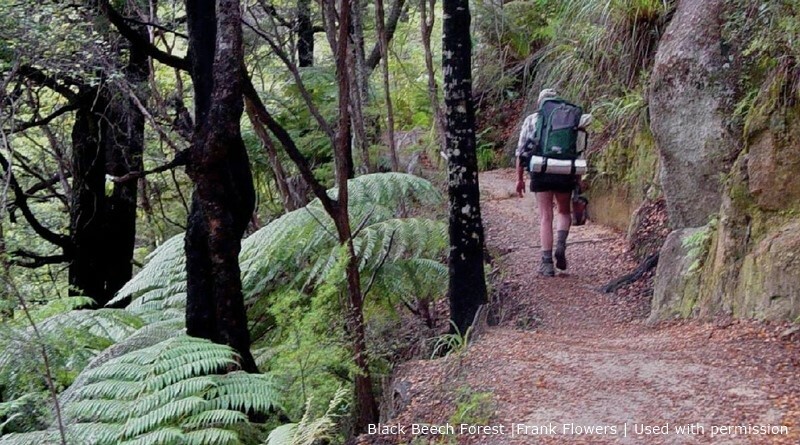 New Zealand offers several Great Walks, including the Milford, Routeburn, and Kelper tracks. However, the Abel Tasman Coast track need not be avoided in winter. In fact, during the cold season, the track is quieter and nature still abounds in the beautiful black beech forests that fringe the golden sands, palms, and rock formations. Along the beaches, you’ll still stand a chance of spotting seals, dolphins, and penguins. 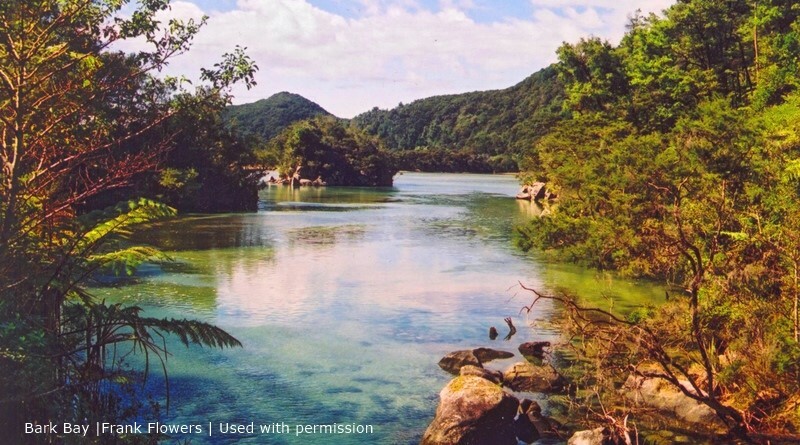 Many people enjoy transferring to the furthest camp at the northern point of Tōtaranui and then hiking back down to Marahau, the Department of Conservation’s gateway to this protected area. Shuttles from Wainui can be arranged if you walk the other direction from Marahau. The beginning of the track is located conveniently to Motueka town in the Nelson area. There, you can purchase any supplies you may need for your walk. The walking track is very well maintained, and in places, walkways and suspended bridges help make it easier on the hiker. However, when it comes to tides you should be aware that you must plan your walk carefully. Some areas, like the Awaroa Estuary, cannot be crossed at all during certain hours. However, the DOC supply plenty of information on their brochures. The walks need some fitness levels and involve some quite steep pulls in places. 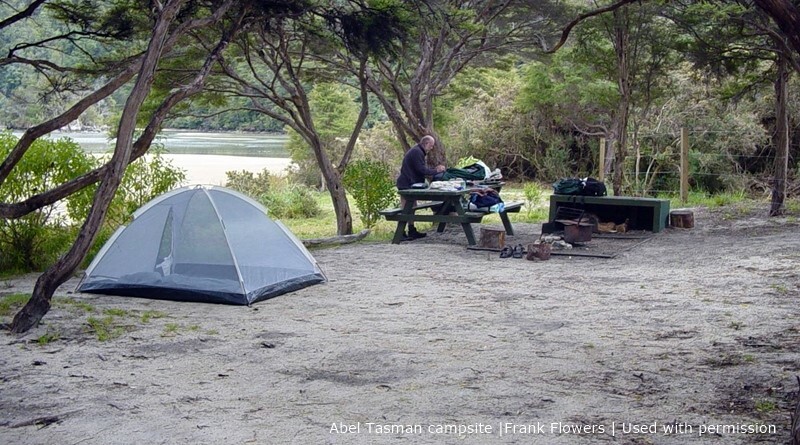 The campsites and DOC huts at the end of your walk each day offer spectacular scenery, places to wash and cook, and gather together with fellow trampers (as they’re termed in New Zealand.) Often, you’ll find a bit of a beach party going on, and people come and go on the water taxis, kayaks and shuttles. However, make sure you don’t carry in heavy bottles of drinks. Rather carry lightweight food and powdered energy drinks to save your back on the uphill sections. Whichever way you choose to walk, it’s useful to consider how far you plan to walk each day. You have the choice of four huts and 18 campsites along the track. Along the way, side trips are worth taking as well. For example, on the Marahau to Anchorage trek, which takes about four hours, you can allow for a further 20 minutes if you take the side trip ton the Tinline Bay Nature Walk. Anchorage to Bark Bay is an absolutely beautiful hike and should take around four hours. However, allow for tidal delays on the Torrent Bay Estuary. Note, if you want to take in Cascade falls, allow another hour-and-a-half for the round trip. Bark Bay to Awaroa is about five hours, but you could tag on an extra few hours to spend at Onetahuti Bay Beach. Awaroa to Whariwharangi Bay’s only a few hours, but again, access is either side of high tide. From there you could do the Wainui run in a few hours or push a good six hours through to Tōtaranui. Most people fly into Auckland, the biggest city on the North Island. You can either fly direct from Auckland to Nelson on the South Island and then transfer to Marahu, Motueka, or Kaiteriteri. Nelson’s about a 40-minute flight from Auckland. Some people hire cars or campervans and drive down to Wellington, the political capital on the southern end of the North Island. From there, they can ferry across to Picton on the north coast of the South Island. You may want to stay a few days in Picton as it’s the gateway to myriad inlets in the Marlborough Sounds. Of course, in New Zealand, options include booking guided tours of between three to five days. However, if you prefer independent travel, there’s no reason why you can’t put it together yourself. However, in the interests of preserving the natural area, hikers and camping numbers come with limits, especially in the top summer season. Therefore, make certain to check online with DOC to see if the window of your vacation fits with existing reservations. Bookings, brochures, advice, and nature information is available online on the Department of Conservation Website for visiting New Zealand.